The Bungalow at Mai Khao Beach is a stark contrast to the high living of the JW Marriott Phuket Resort and Spa, but if you don't have a big budget and are prepared for some quiet time then this could be the place for your next destination. 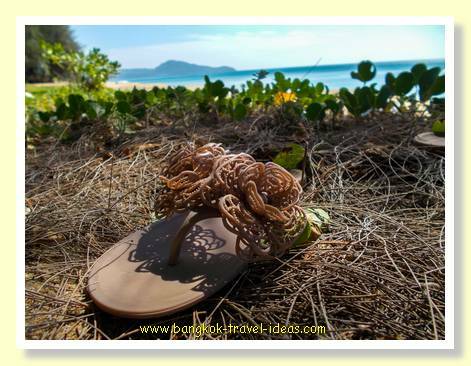 TripAdvisor is a great place to find recommendations of cheap and easy places to stay in Phuket and this is where I found this latest recommendation, which is located about 5 kilometres further down the beach and closer to Phuket International Airport. 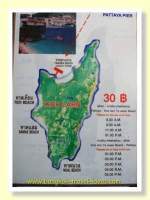 So, how to get to Mai Khao Beach? 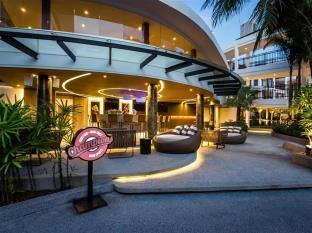 Well we took a taxi to the Bungalow at Mai Khao Beach from Phuket Airport. Taxis are plentiful and are a fixed rate at the booth just outside the airport exit. The taxi ride took around 20 minutes and first went along the big highway that goes towards the Saracen Bridge. 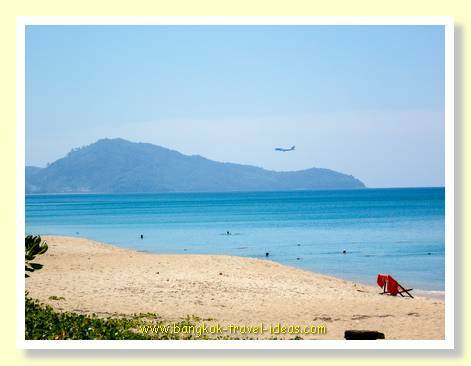 The driver then took a left and went through all these windy roads until we reached the Holiday Inn Resort Phuket Mai Khao Beach and followed the road around the perimeter until we reached a small soi and turned left. Once we got out of the taxi we could see that the small cabins were as colourful as depicted in the TripAdvisor photographs. 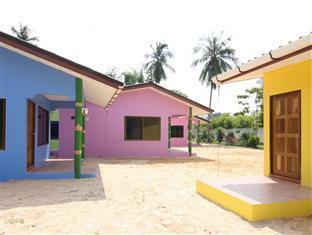 Each came with sleeping for three, a fridge, air-conditioning, a safety box, a beach mat and an indoor shower and toilet. Just outside the door were a couple of chairs and table; just ideal to have a beer at the end of the day. We were warmly welcomed by the owner and shown to our room. Although there were many reviews stating that breakfast was available, it seemed that this service was no longer offered and we were directed to the small restaurant about 100 metres towards the beach. The Ton Tan restaurant was where we ate breakfast and dinner for the next few nights. 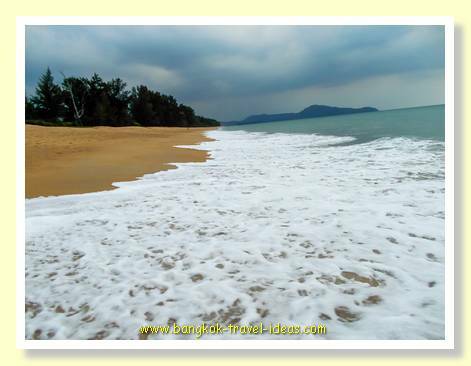 The beach is reached by walking from bungalow@maikhao along the adjacent soi and past the breakfast place and in a couple of minutes you are there. Once on the beach, you can look left to the airport, or to the right you should be able to see the sail boats outside of the JW Marriot Phuket Resort and Spa. 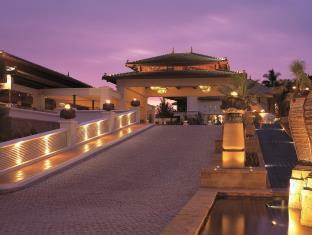 Immediately to the left is the Holiday Inn Resort Phuket Mai Khao Beach with its roped off beach area. 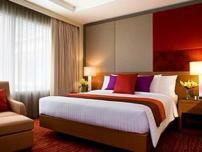 You are free to use this hotel facilities such as the pool if you pay the guest fee. Walking along the beach to the right, there is a high sand bank planted with Casuarina trees and there are various boutique hotels set back about 75 metres. 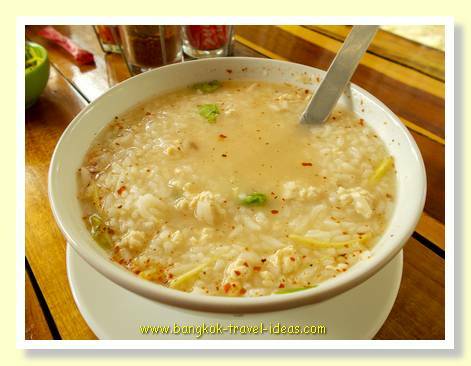 Here you will find a couple of places where you can purchase Thai food during the day or even grab yourself some drink, so you should never go hungry or thirsty. For the next four days we basically followed the same routine. 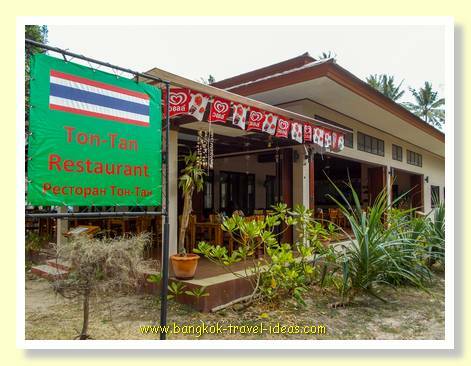 Get up in the morning, wander down to the Ton Tan Restaurant for a breakfast of khao tom (rice porridge and pork) and then head off to the beach where we would spend the rest of the day in a shady spot under the trees. Around lunchtime one of us would head off to a nearby restaurant and bring the food back to our spot to eat. The restaurants were quite okay with us taking the plates and cutlery away and they had a wide selection of food that catered for tourists. 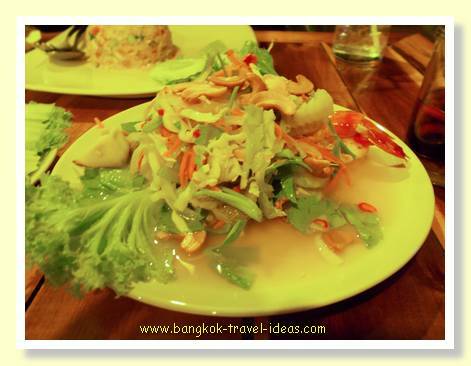 So if you don't like Thai food, don't worry, you will find something to your taste. Lunch was usually some sort of seafood or a pad Thai seafood mix and this would see us through until mid-afternoon, when we then went looking for ice creams. 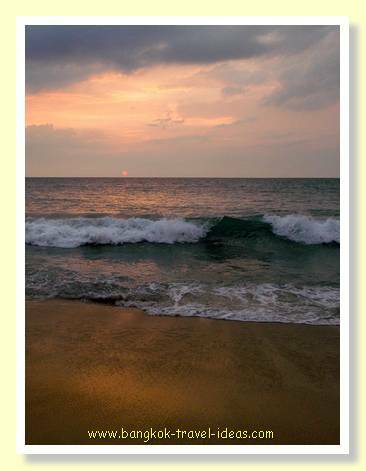 In the late afternoon we would take a walk on the beach or paddle in the water and around 5:00 pm we would go back to the room. 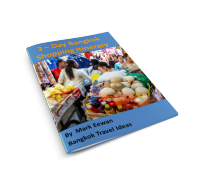 If we needed to buy some more water or a couple of bottles of beer, then the local convenience store was 50 metres away in the other direction from the Mai Khao Beach Bungalows. This shop had everything you would need for a beach; sunscreen, hats, sunglasses etc. which was just as well as there were no other shops nearby. 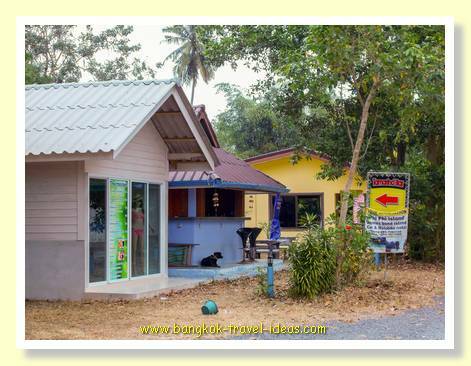 bungalow@maikhao makes for a cheap holiday for those with a limited budget. 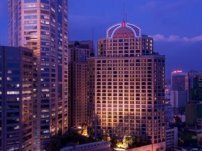 If you can manage without the big hotel trappings and just need to sit on the beach all day and gorge on local food and drink, this could be for you. After a beer on the verandah and a shower, then it was time to head off for dinner at the Ton Tan restaurant and then in bed by 9:00 pm. It is surprising how tiring relaxing can be. It is normal practice to leave your shoes outside the room when you stay at bungalow@maikhao, but on the day we were due to depart one of our shoes had been taken by the local dogs. After a hunt around the grounds with the help of the reception staff, I managed to find the shoe in the grass. The shoe was a little worse for wear, having lost one of its decorative flowers and been given a bit of a chew. We were happy to get the shoe back as it was the only pair we had brought. Fortunately we were able to take some flowers off the other shoe to replace the missing ones, so it did not look too bad. 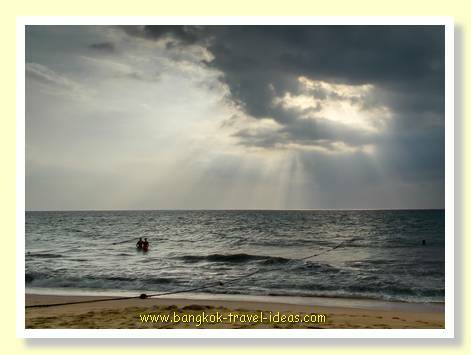 Would we stay at Bungalow at Mai Khao Beach again? Unfortunately not, there were too many dogs on the soi for us and we found it most off-putting to have them barking and running up and down whilst we either tried to get to the beach or go to the convenience store. 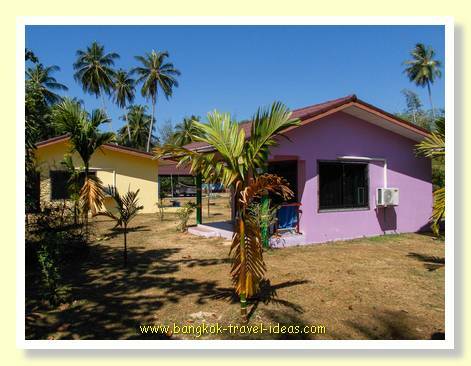 Get the latest prices and availability from bungalow@maikhao beach. When you are waddling around in your swimming togs you really don't have much protection. The accommodation was fine, the restaurant was fine, and the beach was great, but having a dog jump out of the darkness barking fiercely really makes the heart race. There was probably a good reason for it to be on a chain. After the check-out the owner helped us order a taxi to take us to our next destination. She was extremely helpful all through our stay.